I guess, then, I was destined to be a “food person,” for brown is the color of flavor. Brown is the place where sight, taste, and smell collide. These three senses are necessary for any culinary experience. Brown is the color of roasting and baking. Brown is the color of caramelization and the color that signals a lack of moisture and a concentration of flavor. It’s the crusty sear on a steak and the cheesy top of a gratin. It’s the valuable bits at the bottom of the sauté pan and the golden hue of the outside of a buttery pound cake. It has an aroma; it has a texture. This straightforward fish dish highlights the beauty of brown. 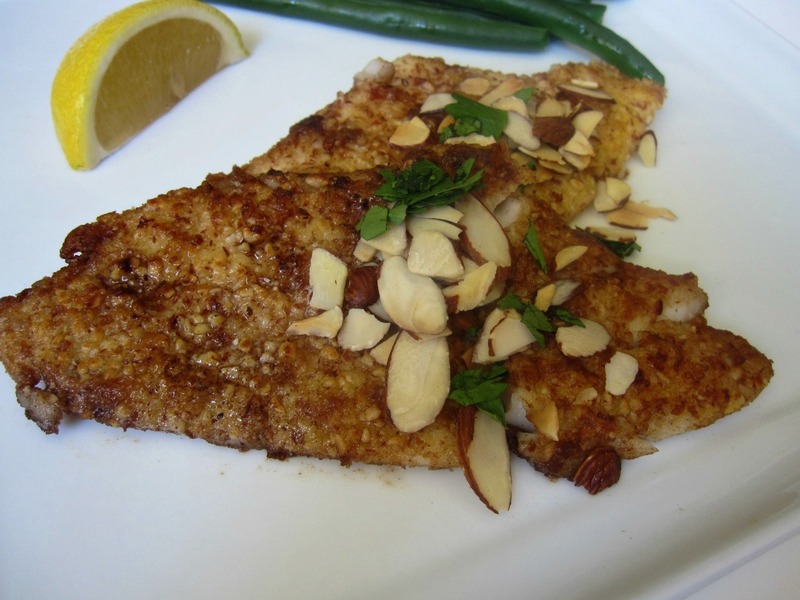 The Almond Flounder Meunière (I used sole) comes from Dorie Greenspan, my favorite cookbook author. Not only are her recipes simple and elegant, but her voice is approachable. Reading one of her cookbooks feels like sitting down with an old friend for coffee. You know, if your old friend lives a bicontinental life in the U.S. and in France and always has a heartwarming story to tell. Here, Dorie – yes, Dorie. We call friends by their first names, right? 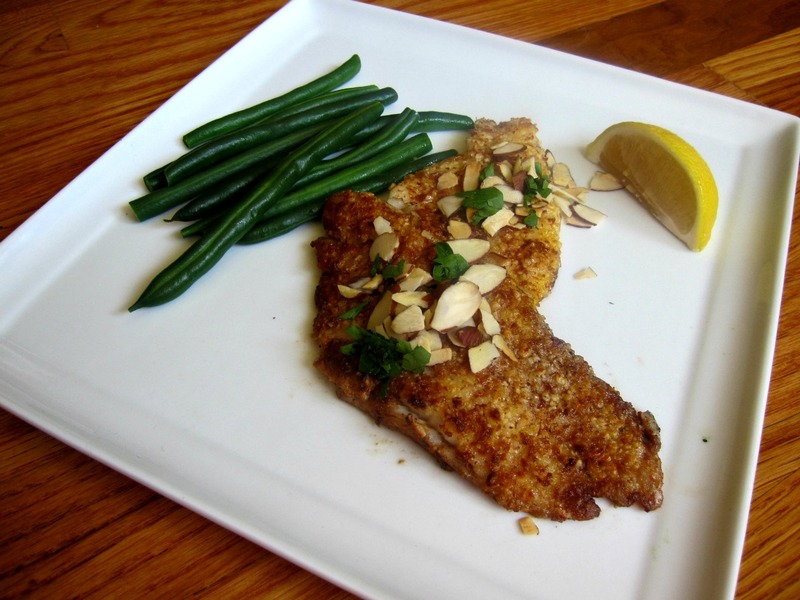 — creates something ingenious from two iconic French dishes: sole meunière and sole almandine. What results, is the most comforting fish dish to come out of my kitchen in some time (and I cook fish two to three times a week) due to one simple thing: the color brown. Brown butter and almonds. These two ingredients are just as nutty and rich as the color itself. There’s a reason why brown butter is “beurre noisette” in French, noisette meaning hazelnut. Once the butter reaches this golden state, it takes on the smell of roasted hazelnuts and a taste that rounds out and adds a toasted depth to anything it adorns. The sweet fish is encrusted in almonds and sautéed in browned butter, the combination resulting in an overall warmth that encompasses all of my reasons for loving the color. The fish is then garnished with a smattering of toasted, slivered almonds, their faintly brown color adding even more crunch and flavor. Brown plays well with others, too, and a garnish of parsley adds a verdant freshness to the rich dish, and a squeeze of lemon cuts the richness but also brightens and enhances the browned flavor. This easy dish will become a staple in my home, and I hope it does for you, too. It doesn’t require a fussy side; in fact, something simple will most effectively highlight the richness of the fish. I got the recipe out of the fabulous Around My French Table, but you can also find it here on Leite’s Culinaria. Ooh I made this dish once… it was wonderful. And I agree brown is a wonderful color. My wedding colors are actually going to be brown and orange. What a lovely tribute to brown. And yes, Dorie, she has wonderful recipes. Thanks for sharing!